Coordinator of Oswego County Opportunities Cancer Services Program Carolyn Handville (left) meets with cancer survivor Renee Bidwell (center) and Rosanne Foster, NP, with Northern Oswego County Health Services, Inc. Thanks to a cervical cancer screening through OCO’s Cancer Services Program that led to an early diagnosis of cancer, and the efforts of Foster and other health care providers, Bidwell’s cancer is now in remission. However, when it is followed with “You saved my life!” it really brings the program’s impact into focus. One year ago Phoenix resident Renee Bidwell visited the NOCHSI Health Center in Phoenix with a rather curious health concern. Having worked at the health center for the past seven years, Foster was well aware of OCO’s Cancer Services Program and had referred several of her patients to the program. When she told Bidwell about the program and suggested that she take advantage of it Bidwell was hesitant. “I’d heard of OCO’s Cancer Services Program but I didn’t think it was for me. I thought it was for those that may be unemployed. I have a job, I just couldn’t afford to buy health insurance,” said Bidwell. Foster explained that access to the Cancer Services Program is not based on income; rather the program is there for those that cannot afford health insurance, or have health insurance with very high deductibles. “I told Renee that I would reach out to Carolyn at the Cancer Services Program and arrange for her to have me administer the PAP test for her free of charge at our health center. She was very grateful and it put her to ease to know that she could have the PAP test done at the health center by her primary healthcare provider,” said Foster. When the results from Bidwell’s PAP test came back abnormal Foster noticed that while Renee did not test positive for cervical cancer the type of cells that were detected by the PAP test did raise some concerns. To follow through on those concerns the Cancer Services Program referred Bidwell to Oswego County OBGYN for an endometrial biopsy and a colposcopy. Those results showed normal cervical cells, however, it appeared she may have something else going on and was referred to a Surgeon in Syracuse immediately. Once again the lack of health insurance posed a problem. Following the results of her endometrial biopsy and colposcopy Bidwell was referred to a surgeon that suggested she have a hysterectomy. “When I awoke from the surgery I noticed that it was 8 o’clock at night. I remember being a little ‘foggy’ but I thought it was odd that I was out for so long. In the morning when the doctor stopped to see me he said the words I never thought I’d hear,” said Bidwell. While performing the hysterectomy the doctor incidentally discovered that Bidwell had cancer of the fallopian tubes. He removed 57 lymph nodes and 4” of her bowels. While the results showed that Bidwell’s lymph nodes were clean and the cancer was contained to the fallopian tubes, the aggressiveness of the cancer cells required Bidwell to endure 6 rounds of chemotherapy. In addition to the support she received from family and friends Bidwell said that the support she has received from community members has also helped. “I was shopping one day and had my scarf on to cover my head when I noticed a woman was looking at me. A few minutes later I saw her again and she approached me saying ‘Do you have cancer….can I give you a hug?’ Yes! I exclaimed. Afterward she told me that she had breast cancer and learned from her support group that you should show support for others and give them a hug. It meant the world to me…it helped me get through that day!” said Bidwell. Renee’s story is just one example of the impact of OCO’s Cancer Services Program. Regular screenings for cancer and early detection can save lives, and with the program’s mantra of “No Insurance…No Problem” there is no excuse for women and men that are uninsured or underinsured with high deductible healthcare policies not to take advantage of OCO’s Cancer Services Program and get the cancer screening they need. 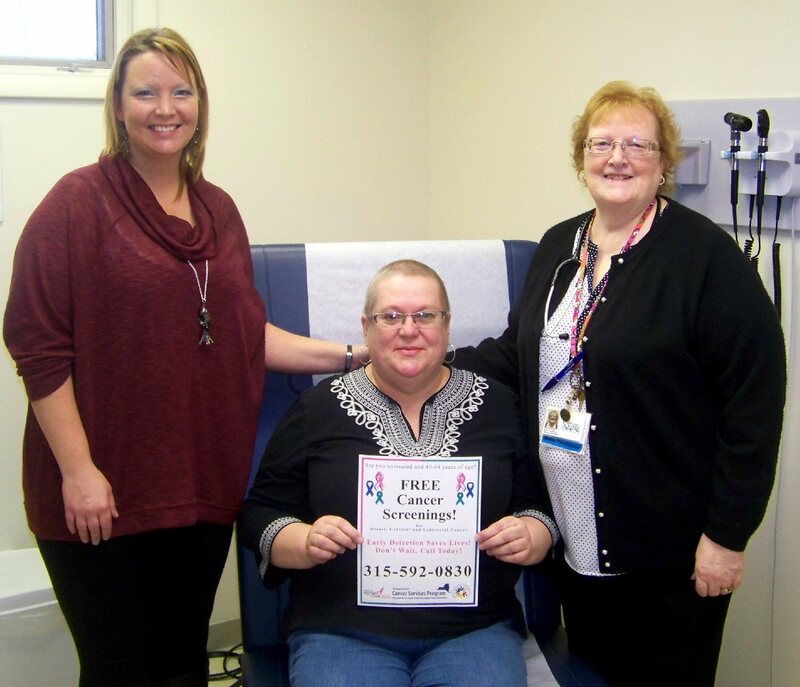 Northern Oswego County Health Services, Inc., is one of the many partners of the Cancer Services Program. NOCHSI Health Centers participate and offer screenings in each of their 5 locations. For more information, or for eligibility requirements on the Cancer Services Program Partnership, contact Handville at 315-592-0830. Did you know? OCO is a private, non-profit agency that touches the lives of thousands people each year through more than 50 programs operating in over 80 locations throughout Oswego County. 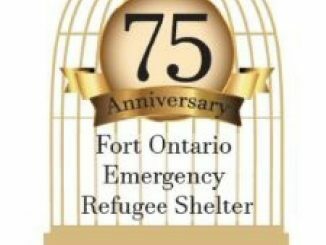 The agency is celebrating 50 years of service in 2016.